The Legion P226 is finished in a proprietary Legion gray PVD coating, custom G-10 grips with a Legion medallion, the SIG SAUER Electro-Optics X-RAY high visibility day/night sights comes with three magazines. 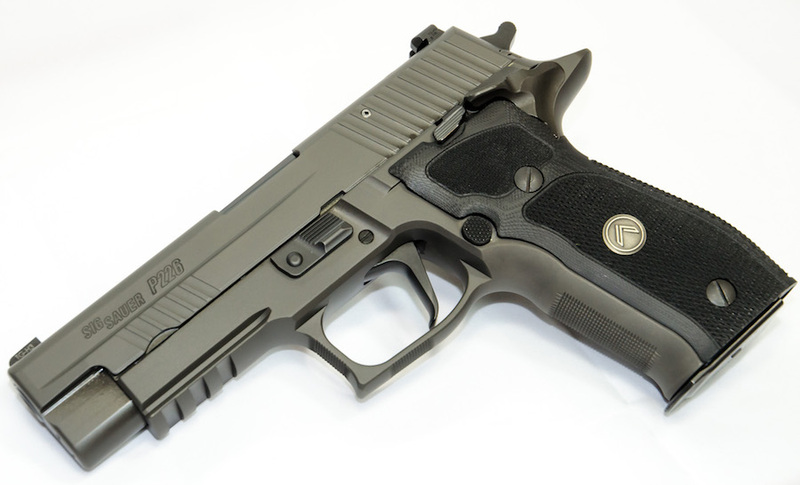 The P226 in DA/SA includes a reduced and contoured Elite beavertail, which allows for a higher grip, but a reduced profile, thus eliminating printing. 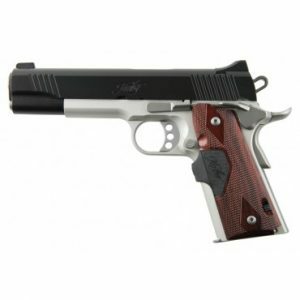 More aggressive front strap checkering and additional checkering under the trigger guard enhance the grip. An X-Five undercut has been applied to the trigger guard, allowing for a higher grip and greater control. Front cocking serrations provide greater purchase for cycling the action, clearing the firearm, or conducting press checks. The DA/SA is available in 9 mm, .40 and .357 SIG. The DA/SA also features low profile decocking and slide catch levers to reduce the risk of snagging. 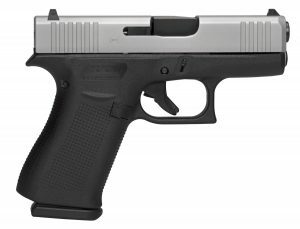 An enhanced polished action with the SRT (Short-Reset Trigger) is augmented with a Grayguns, Inc. designed P-SAIT trigger. In addition, a solid steel guide rod adds weight where it matters most. 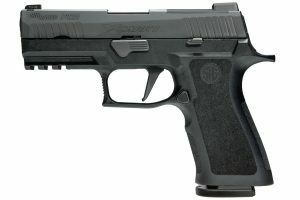 The P226 SAO variant brings the same feature set to the table in a single-action only package. The addition of the SIG Master Shop Super Match Flat Trigger provides exceptional feel and consistent trigger pull regardless of finger placement. The SAO is available in 9 mm.